and lovely they are too. You are lucky, you still have it all to come. Our Spring/Summer is going by so fast that it will all be over soon. those are beautiful and serene shots. I like how you caught him (or her) stretching their legs. 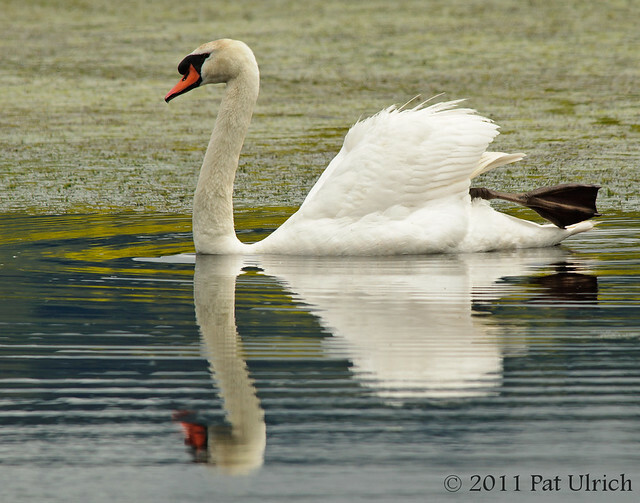 Lovely Swan, Pat. It must look like a water ballet when seen in person. Lovely, peaceful images. Always a joy to visit your wonderful blog! Wonderful shots Pat. We're getting snow this week in Michigan so your lazy summer vibe is particularly appreciated! I do hope your visitors will look at your previous post,"Never turn your back on the Ocean." Incredible! Very graceful. We have temperatures that are more akin to the summer months at the moment but I have that feeling that it will all do an about turn before long. What a beauty. Excellent captures! Lovely images of a beautiful bird Pat. They are lovely birds and your photos are beautiful! They are such royalty. Great photos. Beautifully elegant bird, well photographed. Absolutely fantastic pictures Pat. Swans are so regal. You have captured it perfectly. Simply wonderful captures with the outstretched paddle in both directions, perfect reflections and the super whiteness of the contented summer bird. It reminds me of punting on the river Cam in Cambridge with recumbent young ladies in white dresses and parasols being gently punted on the quiet stream by young gentlemen in white trousers and boater hats. We can def learn from this swan....he is a handsome devil!! Great photos. 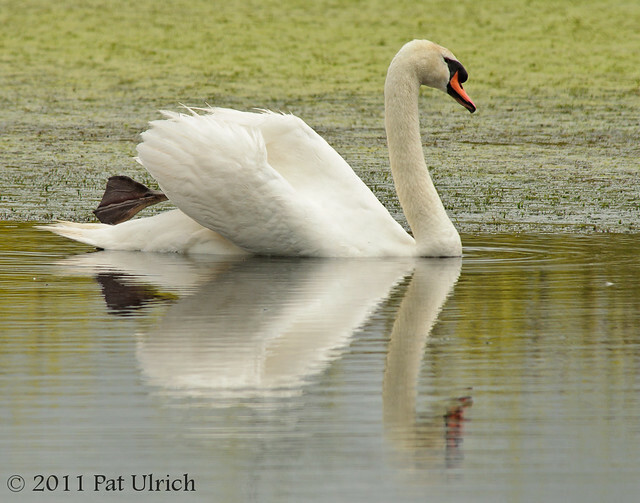 Your mute swan in the pond is beautiful. Great images. Great shots. We have rain forecasted for the next week, so I'll have to rely on last year's photos to get me through it!